Since I needed no convincing, I saw no reason to join a pilgrimage even once, much less multiple times, like those odd repeat-pilgrims who perhaps had an over-abundance of free time, too much money, or a fanatical streak? Couldn’t I just get in my car and cruise to St. Barnabas Church just five minutes away from my home? After all, the Eucharist was there. Be careful what you make fun of. 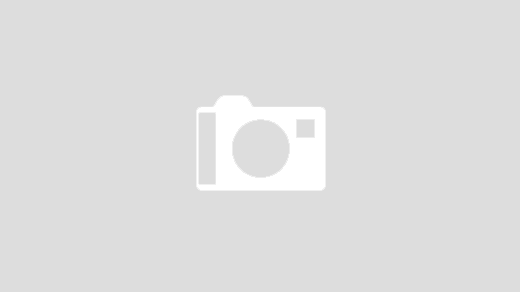 I have since traveled to Medjugorje five times. Each trip was an unexpected calling full of untold graces, practically ducktaped together with frequent flyer miles and faith. My first pilgrimage with my husband saved my marriage. 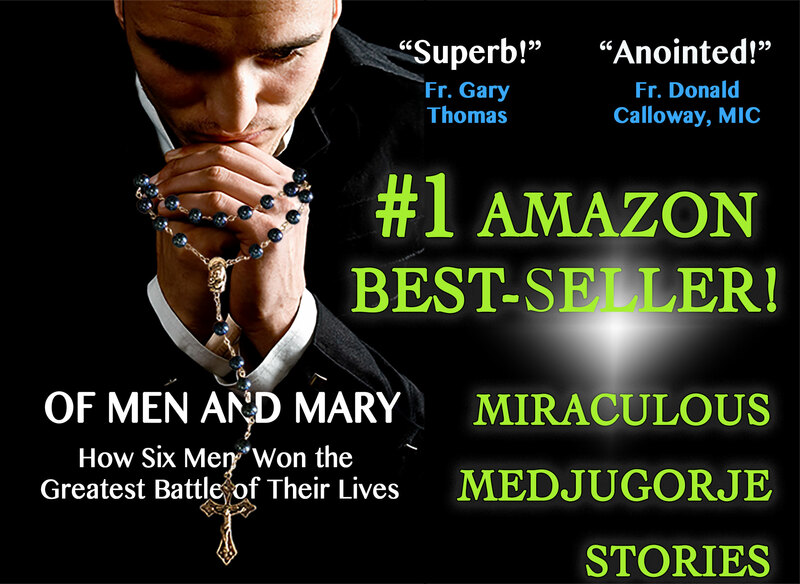 On my second trip, God asked me directly to write a book of Medjugorje conversion stories, now a bestseller for Ave Maria Press called, Full of Grace: Miraculous Stories of Healing and Conversion through Mary’s Intercession. The third time, I providentially met two people whose stories ended up gracing the book. I organized the fourth trip and gathered a group of friends who received heavenly gifts. The fifth time, ABC television planned to interview me there, so I hopped on a plane again and experienced that peace I’d always heard about—a sweet ecstasy that satisfies every longing, every possible desire of the human heart. 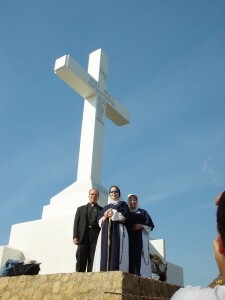 On those trips, I discovered that in Medjugorje, the miraculous is commonplace. The following are but some of the experiences of my family and friends alone: the miracle of the sun, where one can stare safely at it; the uncommon desire to pray for hours; the spontaneous healing from chronic, debilitating back pain; lightning striking earth in rainbow colors; a vertical light splitting the sky in two on a cloudless day, a fourteen-ton, twelve meter-high cement cross, free from all electricity, lit up and spinning like a top at the summit of Cross Mountain; a beating heart appearing in the host during Adoration of the Blessed Sacrament; the smell of roses where no roses or perfumes were present; atheists finding faith without foxholes; breast cancer healed; cures of debilitating depression and anxiety; golden clouds in the sky and a golden dust covering the earth. The millions of other people who have passed through Medjugorje would undoubtedly have more to share. . . The Mother of God has introduced herself in Medjugorje as the Queen of Peace, and she clearly desires to impart that peace to her children. The peace often granted to souls through Medjugorje is not that of a relaxing vacation, a human embrace, or a happy outcome. It is the peace of Philippians 4:7, which surpasses all human understanding and guards our hearts and minds in Christ Jesus. 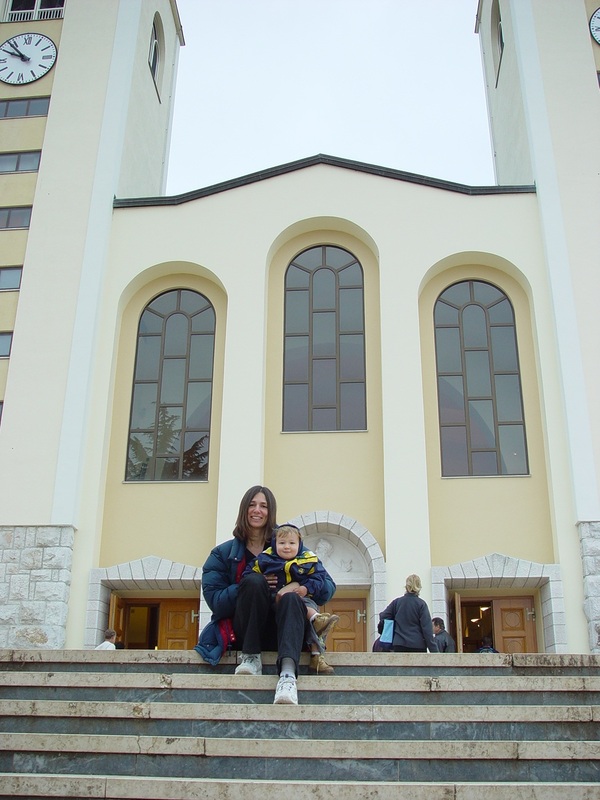 I remember standing in front of St. James Church in Medjugorje, doused in peace, and thinking that there must be something I should be concerned about, but my mind refused to worry. One particular moment of peace stands tall in my memory above the rest. After eating dinner at a restaurant where I sat near a table seating the three-person crew from ABC television, I left to walk a short block to the area behind St. James where hundreds of people sat outside in the warm summer night air, facing the Blessed Sacrament—a large Host carefully placed in a stunning monstrance circled by golden rays. As I walked into the midst of the Real Presence of Jesus, a multitude of prayers, and sweet live music, I felt overcome with a deeply peaceful, tingling, ecstatic joy that filled my heart to capacity. When I sat down to pray, that capacity somehow grew. Giddy waves of peace carried my heart off to heaven while it somehow remained in my chest. Off to the left, the sky flashed with lightning, but without a sound, as if the Holy Spirit were delighting in showing himself off to his people—perhaps he was. Suddenly I became the one acting like a crazed fanatic. I promptly stood up and ran back toward the restaurant. If only the ABC crew could experience this! Surely then their hearts would be touched, and they could share with the world what was truly happening here at this holy site. They looked at me with courteous amusement , and then I left. They never budged. They hadn’t finished their beers and saw no reason to disturb their comfortable dinner. Without interest or faith or the desire to change, even one block is too far to travel. Medjugorje would mean nothing without the conversion of the human heart. My work gathering stories for the Full of Grace book introduced me to Medjugorje’s inner world, the world within each heart, as I wrote down some of the most amazing conversions I had ever heard: a former crack addict who experienced his own apparition of Mary in Medjugorje and is now completely free from his addiction; a lonely youth who found healing from abortion, depression, and anxiety; a Nobel Peace Prize who, with Mary’s help, rescues children living in the sewers of Colombia; a violent, homeless heroin addict, diagnosed as paranoid schizophrenic who is now a happy, sane, kind-loving family man; a former stripper who has considered becoming a nun; and a former atheist, who was me, caught up in serious sin and miraculously saved from imminent death through Mary’s Intercession. The book and subsequent talks I’ve given around the country have introduced me to hundreds of Medjugorje conversion stories, more than the mind can run after. Such graces have to come from heaven. They can’t possibly come from man. As I encountered testimony after testimony, I saw how each conversion, healing, or a prayer answered ministered so perfectly to the individual that only an all-knowing, all-loving, Almighty God could manage such feats. No human being could weave such tapestries of exquisite experience, could manipulate lives with such life-altering results and reach the heart where only God can speak. Like seashells, or grains of sand, or snowflakes, each story was intricately unique, beautiful, and perfect—so clearly created by an infinitely fertile imagination. If souls say yes to what Mary is asking, they become a holy expression of their true selves. And they find true peace. 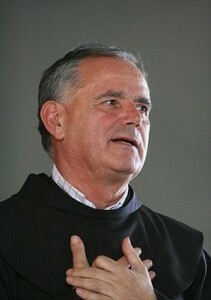 Catholic speaker and author of Full of Grace: Miraculous Stories of Healing and Conversion through Mary’s Intercession.